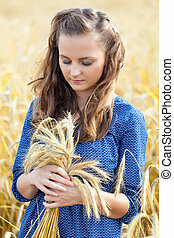 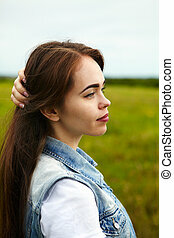 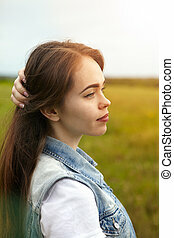 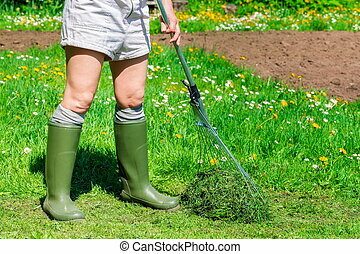 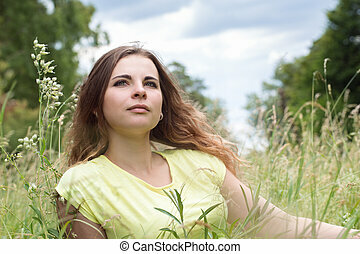 A woman in the meadow. 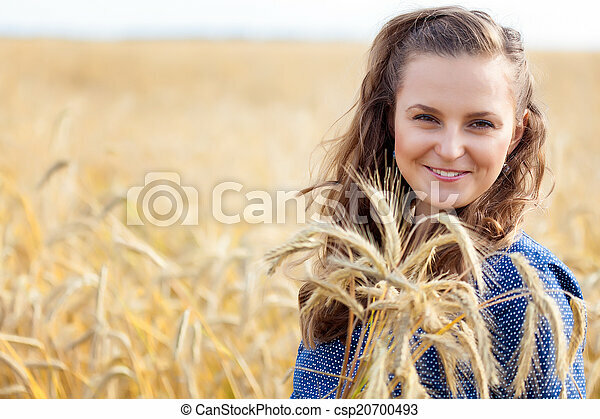 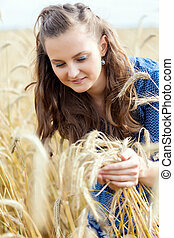 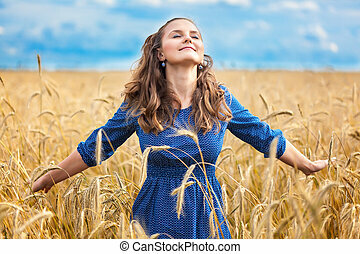 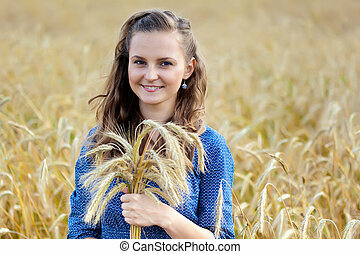 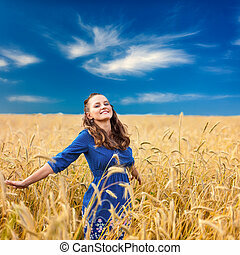 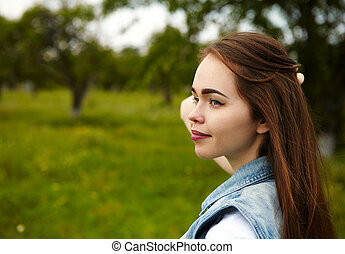 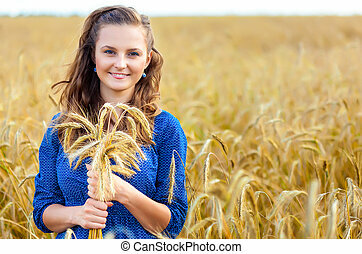 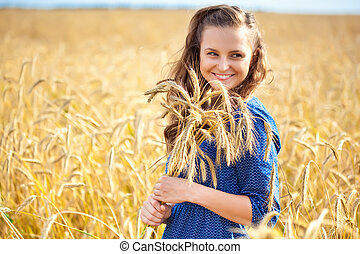 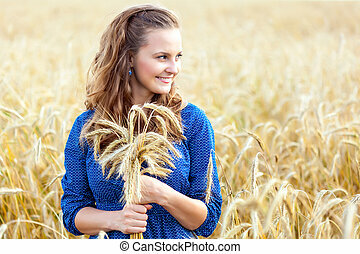 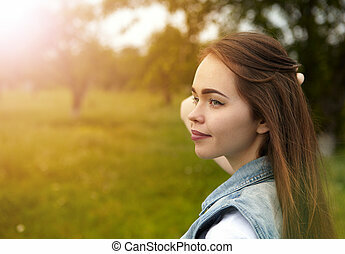 A smiling woman is posing in the meadow. 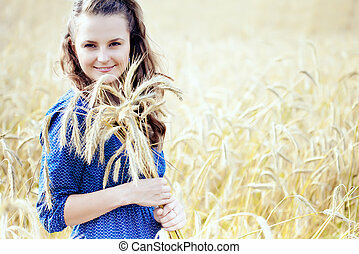 Instagram style retro summer shot of a lady in the meadow. 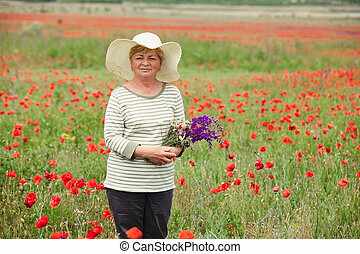 beautiful woman in a purple dress on the meadow.